Ravi Shankar Prasad on Thursday alleged that the Congress party had a 'loose alliance' with absconding diamond merchant Mehul Choksi. New Delhi: Union Law Minister Ravi Shankar Prasad on Thursday alleged that the Congress party had a 'loose alliance' with absconding diamond merchant Mehul Choksi. 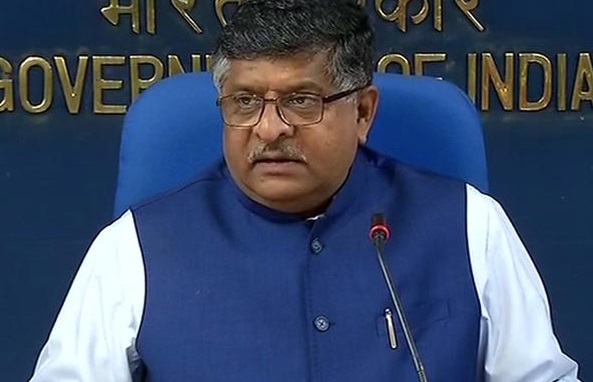 Prasad told that, he came to know about the connection between the embattled businessman and the grand old party after a news channel broadcasted an interview of one of the international lawyers of Choksi namely, David Dorset. Quoting the lawyer, the Union Minister said, "Mehul Choksi was an ordinary businessman who had some loose alliance on with what is now the opposition party in India, the Congress." The Union Minister further claimed that the gross income of Choksi's company rapidly increased during the Congress regime. "Mehul Choksi's revenue suddenly increased at a time the Congress party was in power," he said.